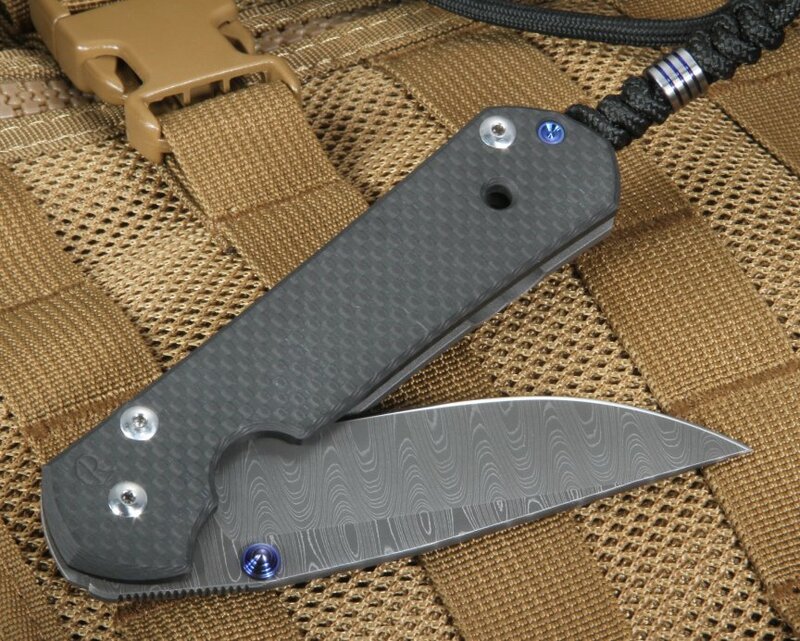 Chris Reeve has been constantly redefining quality in the knife industry for more than a quarter of a century, and his Large Sebenza 21 Carbon Fiber and Ladder Damascus is no exception. A light, yet sturdy, and elegant creation, this knife is sure to withstand many years of use. The Large Sebenza 21 measures 8.335" of which 3.625 is comprised of its utilitarian drop point shaped blade. With a thickness of .125", this beautiful stainless Devin Thomas Damascus steel blade has a bold ladder pattern. The blade is also fitted with a filed thumb rest for a positive grip. Its anodized titanium thumb lug allows for the convenient one-handed opening. 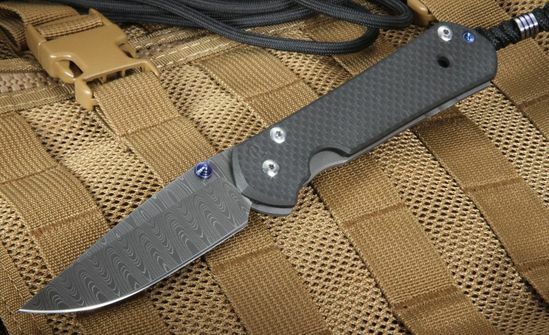 The handle's lock side is crafted from ultra-strong 6A14V titanium to ensure sturdiness, and the front side is made from textured carbon fiber which not only allows the blade to be lighter but also enhances the user's grip under moist conditions, such as sweat or rain. 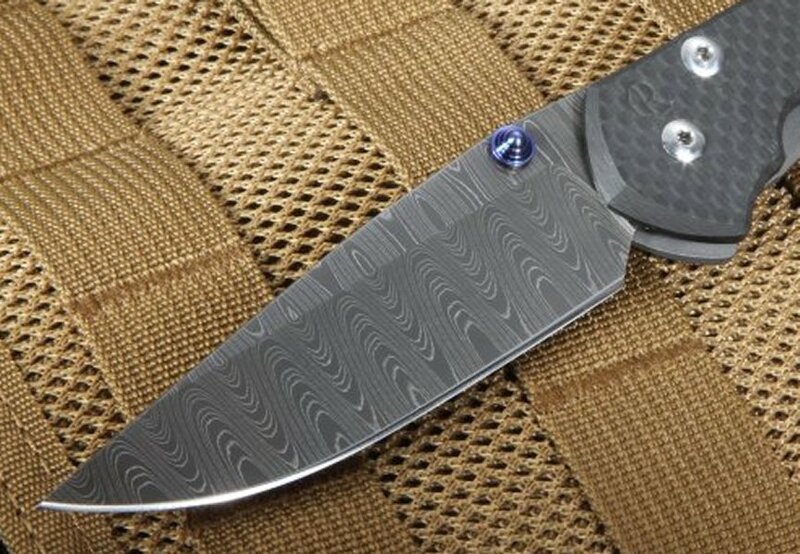 This unique knife weighs only 3.7 ounces, a full ounce lighter than its full titanium counterpart that weighs 4.7 ounces while remaining just as sturdy and strong. When you order a Chris Reeve Sebenza knife from KnifeArt you're not just ordering a knife: you're ordering a hand-picked, top quality product and our compromise to keep every customer completely satisfied. 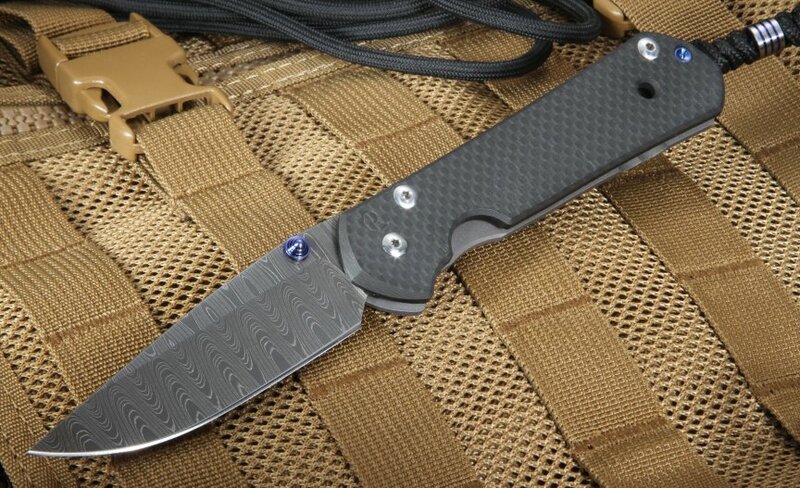 You're getting fast, same business day shipping of always new, never used, top-of-the-line knives by an authorized dealer, and the best customer service in the industry. as usual from knifeart, great products and service, quick delivery, will continue to order from you guys, keep it up!!!!! Excellent transaction, very quick, outstanding product. Thank you.